Shares in Carpathian Gold (TSE:CPN) lost a third of their value on Wednesday after the company announced that the delay of initial production at its 100%-owned Riacho dos Machados project in Brazil has left it strapped for cash. 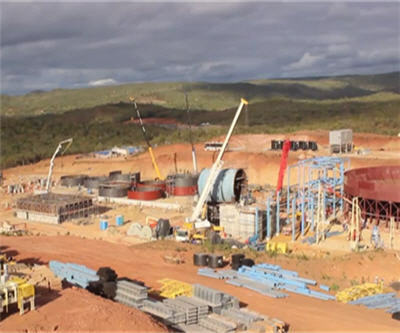 The first gold to be poured at the Minas Gerais mine which boasts 747,00 oz of recoverable gold has only been pushed out to later this quarter pending the commissioning of the mill and the balance of the gold production line and mining continues, but the delay clearly came at a bad time for Carpathian. The company said in a statement with no gold being produced it is experiencing "a lack of sufficient resources at a time when capital as well as commodity markets are difficult" and have consequently decided to "pursue strategic alternatives." Carpathian said it is already in talks with interested parties and is looking at a range of options including a business combination with another company, a recapitalization, a sale of the company or its assets or a strategic investment. Carpathian is also talking to its bankers, Macquarie, to restructure its credit facilities and to provide bridge financing. Carpathian, which has one other gold-copper project in Romania, ended the day of its lows at $0.09 with more than 9 million shares changing hands. The counter is now worth $62 million on the Toronto big board, down 71% year to date.